SPEEDHIDE® Exterior Latex is a durable, 100% acrylic exterior paint designed for new and repaint applications where durability and ease of application are most important in both the commercial and multi-family markets. This less than 50 g/L VOC paint provides excellent flow and leveling, very good hide and coverage and has excellent resistance to mildew on the paint film. 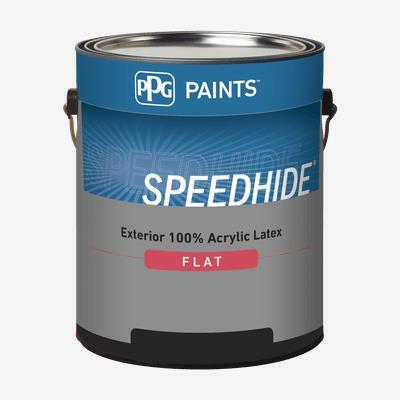 This 100% acrylic workhorse formula also provides excellent adhesion and can be applied at temperatures as low as 35°F (2ºC) extending your painting season. SPEEDHIDE® Exterior Latex is recommended on wood, masonry, fiber cement, brick, aluminum siding and ferrous metal.